This book is aimed at children, and is one which children of all ages will love, given its gruesome subject matter! 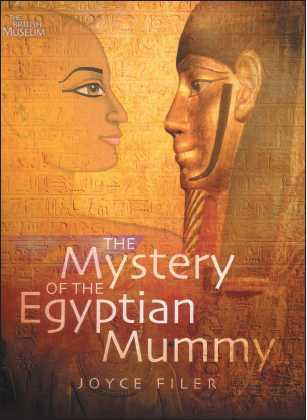 Its aim is to introduce children to Egyptian mummies, and the civilisation which created them. It also shows that mummies were real people, with varying lives and experiences. The author follows the archaeological investigation of the mummy of an ancient Egyptian called Hornedjitef, who was a priest in the temple of the God Amun in the Ptolemaic period and who lived in Thebes (modern Luxor). Sections of the book look at how and why mummies were made, on the grave goods buried with the dead and on the types of tombs made for the dead. 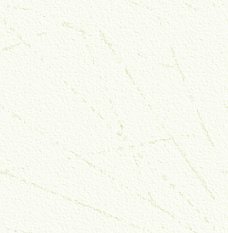 We also learn about the activities of tomb robbers and, in more recent times the work of archaeologists It is, however, the pages which look at the life and times of Hornedjitef that are the most fascinating. We learn of the training of a priest and the work in the temple. We then follow the scientific investigation of his mummy, learning how CT-scanning can enable us to look inside wrappings and at the body itself to find out Hornedjitef ’s age and the state of his health when he was alive. Although this book is large in format, it only has 48 pages, but these are full of excellent colour illustrations and a wealth of wellwritten, brief and accurate information, drawing on the very latest scientific research. This book is sure to inspire any young reader, and there is a most useful glossary of terms. I am sure that any child reading this book will love it ... I know I did! Here is a set of EIGHT books, with contributions by many leading Egyptologists and specialists, covering a huge range of subjects and aspects of Ancient Egypt, many of which you will not have seen in print before. The series resulted from a conference of the same name held at the Institute of Archaeology, UCL, in December 2000, which examined the ways in which the cultures of Egypt, from all periods of its history, have been manipulated and reinterpreted as part of strategies for appropriating the past. Contributors presented new or neglected sets of data or reconsidered well-known information from a variety of theoretical viewpoints. The books (all paperbacks) are available singly, or as a complete set, when they then come in a special box. Each book really requires a review in its own right, but this is an overall view of the whole set. It is not possibe to mention every contributor, but they include, in absolutely random order and with apologies to those I have not mentioned: Robert Morkot, Sally MacDonald, Steven Snape, Peter Robinson, John Tait, David Jeffreys, Eric Uphill, and Morris Bierbrier. These are names that may be familiar to readers but the Editors of each volume have collected papers from many highlyqualified experts not usually associated with mainstream or pure Egyptology, or those new to the subject. This brings in new and interesting views and interpretations, which makes for enlightening reading. Ancient Egypt in Africa: Edited by David O’Connor and Andrew Reid. We know Egypt is in Africa, but it still tends to be regarded as a non-African culture. This volume looks at how Egypt has been dislocated from Africa and looks at the cultural interaction between Egypt and Nubia in particular, but also other African cultures. 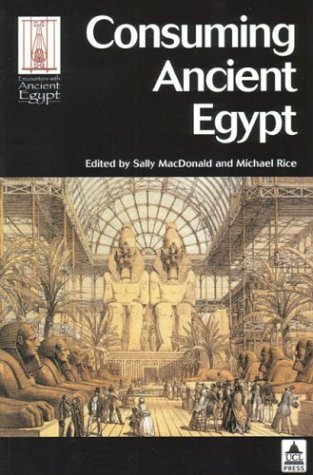 Consuming Ancient Egypt: Edited by Sally MacDonald and Michael Rice. (See the more detailed review which follows). 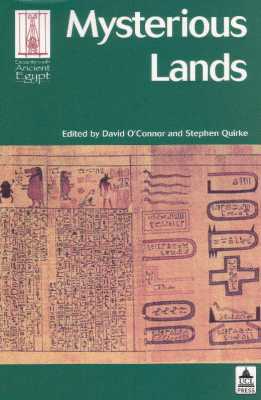 Mysterious Lands: Edited by David O’Connor and Stephen Quirke. Looks at the encounters Egypt actually had with specific foreign lands and also imaginary lands the Egyptians invented. We can read about the land of Punt and the enemies of Egypt, the Libyans and the Sea People, as well as looking at sacred texts and tomb reliefs with their maps of the imagined Afterlives. The Wisdom Of Egypt: Changing visions through the ages. Edited by Peter Ucko and Timothy Champion. This is a fascinating look at how Egypt was regarded by other peoples, from Classical times, through the Middle Ages, the Renaissance, and to the Egyptian revival and the "re-discovery" of Ancient Egypt at the end of the Eighteenth Century. Each period looked at Egypt in a different way and made their own interpretation of what they saw and what they understood of the ancient culture. Ancient Perspectives on Ancient Egypt: Edited by Roger Matthews and Cornelia Roemer. This book continues the idea that Ancient Egypt influenced other cultures and in particular contemporary civilisations in the Near East and Mediterranean. Chapters cover subjects such as "Finding the Egyptian in Early Greek Art" and "Love and War in the Late Bronze Age: Egypt and Hatti". 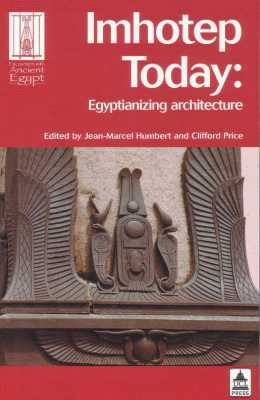 Imhotep Today: Egyptianising Architecture: Edited by Jean-Marcel Humbert and Clifford Price. This is the largest volume of the series and I have to admit is the first one I picked up! It gives a splendid look at how Ancient Egypt has had an influence on architecture. We may all know about Egyptianised buildings in the UK, but here we can see that influence spread much further, to Brazil, to Melbourne in Australia and to St. Petersburg in Russia. The book asks, and answers, the question "What was it about Ancient Egypt that inspired such Egyptianising monuments?" Never Had the Like Occurred: Egypt’s view of its past: Edited by John Tait. Sometimes it is easy to forget that the Egyptian civilisation lasted over three thousand years. This time span is remarkable, and means that the Pyramids were "ancient monuments" at the time of Tutankhamun! We know that at various times the Egyptians looked to their past to "the periods of greatness", and this is often reflected in their art. The book looks at how the Egyptians used their past and their attitude to it. Views of Ancient Egypt since Napoleon Bonaparte: imperialism, colonialism and modern appropriations: Edited by David Jeffreys. This volume looks at how Ancient Egypt and Egyptianised things have been used in Modern Imperialism and how the collection of Egyptian antiquities reflects rivalries between European powers, with chapters such as "Imperialist Appropriations of Egyptian Obelisks" and "Art and Antiquities for Government’s Sake". This set of books is really excellent. They cover aspects of Ancient Egypt which I would perhaps never have considered or even thought I might be interested in – but the eight titles have proved me wrong and the publishers and all the contributors are to be congratulated on what is really a massive work and contribution to our, and our predecessors, understanding of Ancient Egypt. All the chapters are relatively short, well-written and illustrated. This means that any volume can be picked up at random and one can dive into a chapter, which can easily be read in one sitting. These are volumes that will be well used over the coming years and, collectively, they give a view of the Ancient Egyptians and how they saw themselves, but mainly their tremendous influence on other cultures, both contemporary and also others, long after the Ancient Egyptian civilisation ended, right up to the present day. Encounters with Ancient Egypt is published by UCL Press, London. Each individual title is £25, but the whole set (and I think that these volumes should really be considered together) costs £165. Expensive as this is, it will be money well-spent and will provide hours of fascinating and stimulating reading, helping you to see Ancient Egypt in a really new light. The provocative title evokes the allure of Ancient Egypt to our modern consumer society. This volume is one the Encounters with Ancient Egypt mentioned above. Like its companion volumes within the series, the book consists of a collection of essays and an introductory essay ("Tea with a Mummy: the Consumer’s View of Egypt’s Immemorial Appeal"). Some of the fourteen essays consider the attraction of Egypt to ‘consumers’ of culture and education, including museum visitors and tourists. Others examine Ancient Egypt as the inspiration for design, publishing, film, television and the opera. Egyptian Egyptologists have contributed eye-opening and insightful essays on topics not often documented. "Selling Egypt" by F. Hassan looks at the sale of souvenirs in the Khan el-Khalili which trade on Egypt’s past as part of "heritage economics". "Egypt’s Past Regenerated by its Own People", by F. Haikal of the American University in Cairo, is a welcome reference to the history of Egyptology and Egyptomania in Egypt. It includes analysis of the symbolic and political implications of Egyptomania as a sort of renaissance of Egypt, and its importance to the Egyptian tourism industry. "Alternative Egypts" by L. Picknett and C. Prince is a useful overview and discussion of the major Twentieth Century theories about Ancient Egypt that are targeted to the popular market. As a conference participant, I enjoyed the presentation of papers dealing with Egypt and education, the arts and consumerism the first time round. This book enables those interested in Egyptomania as it relates to theories of shopping and marketing to share the experience. This well-produced, informative work is illustrated in colour and black and white, and it is cross referenced to relevant essays within the other books of the Encounters series. Editors: Sally MacDonald and Michael Rice. Publisher: UCL Press. ISBN: 1 84472 003 9. Price: £25.